Booth 4: Let there be light! 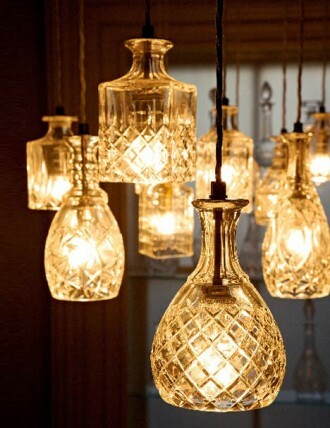 We are lovin these pendant lights made from upcycled crystal and cut glass vases, decanters, bowls, pitchers and a variety of other containers. 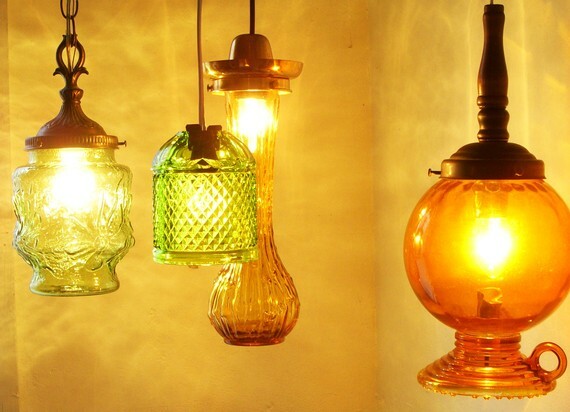 You will find an abundant selection of this type vintage glassware at OCT and what a lovely use--get lots more inspiration here and here.